Water solubility is a fundamental parameter for risk assessment. It is critical to understanding the environmental fate of substances, and also has relevance for effects assessment e.g. in toxicity study design, toxicokinetics and as a key parameter in chemical activity. It is therefore important that tools and techniques are available to make accurate determinations of water solubility across the full range of chemical substances requiring to be assessed. Experimental challenges for poorly soluble substances, including difficulty in preparation of test solutions, analysis of test concentrations (particularly for UVCBs), and a lack of OECD guidelines to carry out suitable experimental water solubility measurements on poorly soluble liquid substances. Little guidance on how to experimentally determine the water solubility of surface active components (and mixtures) and to determine the phase behaviour of the substances (with respect to critical micelle concentration). Limited accuracy of commonly used QSAR for predicting water solubility of ‘difficult-to-test’ substances. For example, for poorly soluble aliphatic hydrocarbons, WSKOWWIN tends to overestimate solubility when compared with experimental data, whereas SPARC (which is no longer free to use) shows somewhat greater accuracy but does not show sensitivity in solubility predictions for structural isomers, which can differ by over an order of magnitude. Novel approaches, such as quantum chemical computation of solvent-accessible molecular volume (SAVOL) have shown promise as a means of predicting water solubility of aliphatic hydrocarbons more accurately (Tolls et al, 2002; Letinski et al, 2016). For poorly soluble organics which are solid in their natural state, issues with predicting melting point are also carried over into estimations of subcooled liquid solubility. The reliability of QSARs for predicting water solubility (or surrogate critical micelle concentration, CMC) of surfactants is also generally considered to be poor. Furthermore, the accuracy of QSAR, which underpin a range of models, is of critical importance for UVCBs for which this is the only practical means to derive water solubility of individual constituents for use in risk assessment. In calculating the solubility of UVCBs, multicomponent dissolution behaviour also needs to be considered. Few QSAR models are equipped to a) define the composition of, and b) generate meaningful property data for UVCBs, generally. A recent challenge issued by Llinàs et al (2008) to develop improved models for the prediction of water solubility of drug-like molecules highlights the current issues with reliability of experimental water solubility data, and its subsequent impact on the accuracy of QSAR. Representativeness of water solubility, in deionised water, compared with toxicity test solutions and environmental media, where factors such as the presence of other solutes, differing temperature and use of co-solvents for spiking may affect the solubility of poorly soluble substances (Weyman et al, 2012). Water solubility is often used to inform maximum target exposure concentrations in toxicity tests, and as a benchmark for analytical data to evaluate whether (under/over) saturation has been achieved. Similarly for in-vitro assays, an understanding of water solubility is key to obtaining quantitative results. The project aims to increase overall understanding of the challenges associated with water solubility testing of 1) poorly soluble substances (solids and liquids), 2) surface active substances and/or 3) UVCBs, and to improve the accuracy of tools and techniques used to derive data to inform environmental risk assessment for these substances. Conduct a review of approaches and propose guidelines for water solubility testing of the aforementioned ‘difficult-to-test’ substances, with a view to updating the OECD 105 guideline. Define a representative group of test compounds to benchmark the updated OECD 105 method and conduct a ring test of the proposed new approach(es) to demonstrate robustness and feasibility of the methods to be implemented at CROs. Consult the available literature for best examples of QSARs and assess their effectiveness at predicting water solubility of the group of the benchmark compounds. Make recommendations of future improvements to available models for predicting water solubility of the aforementioned difficult to test substances. 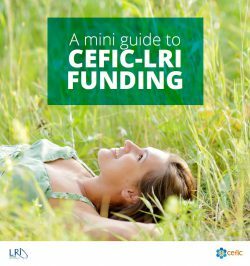 Download here the full version of the RfP LRI-ECO38.